Some weeks ago we came across this poor cat-mauled specimen in the roadway. We knew we had slow-worms around and about in the undergrowth along with the toads, frogs and sand lizards but, despite the “worm’s” name it’s a legless lizard I think. 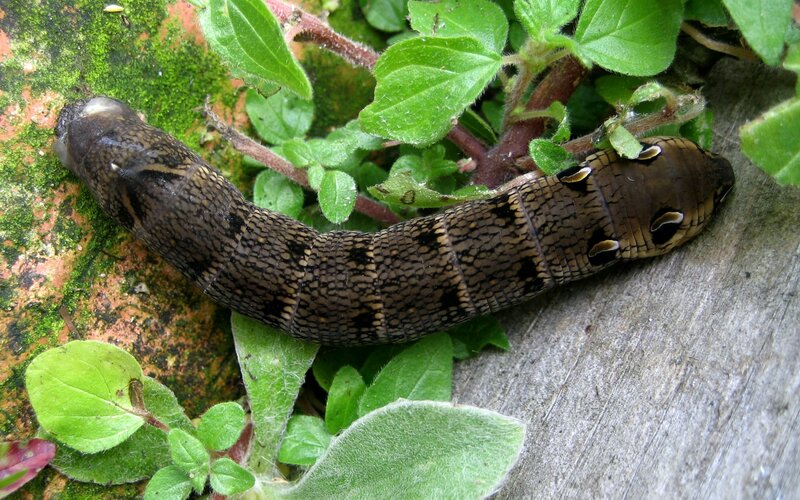 Having got scales on the brain from one set of photos, the Crocosmia just coming into bud next to the slow worm struck me as looking similar in many ways, and the third set of photos is of today’s find of an elephant hawk-moth caterpillar – such a large chappy. and in black and white even more snake-like? I’ve added links for bigger versions of the last two images below if you wish for them as not all of us like gallery views and are not comfy with finding the full size link down below each gallery image. This entry was posted on August 4, 2016 by DoF@theinfill. 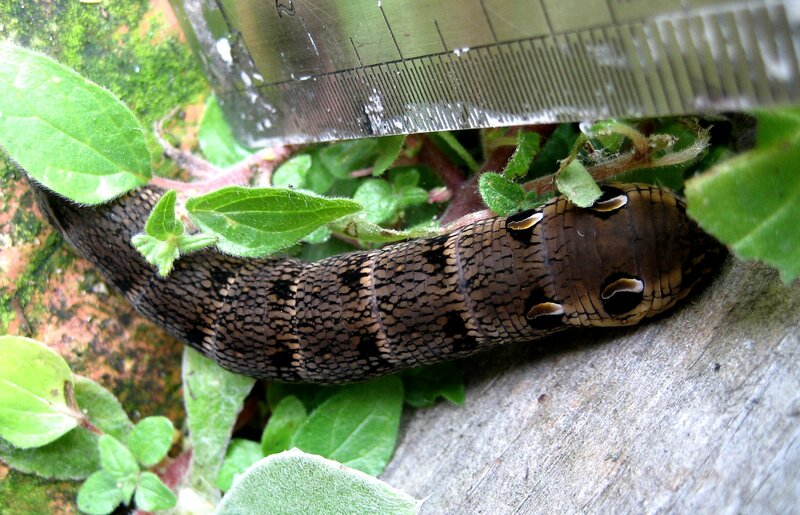 It was filed under Home, Natural items and was tagged with crocosmia, elephant hawk-moth, garden photography, slow-worm. Going along fairly well. The cat is keeping us busy – but we’re so glad to still have him.